"Best customer services and deal"
it is obvious to me from my experience here that Alex is caring professional that go above and beyond what is expected. after having a very very bad experience with other dealership I arrived at this dealership (Autorama) and wow what a positive difference in every way possible. i can see why this place is so highly rated and i know my experience only added to that. special shoutout to Alex who was a pro at literally everything when it came to my new vehicle purchase. "Customer service and car prices "
I was interested in one of their vehicles and asked to test drive it, they told me I had to put down a $200 deposit and come back another day to drive it since they had to get the vehicle out of the dealership which was surrounded by a bunch of other vehicles. I put down the $200 deposit and was told more than once I’d get the money back if I ended up not liking the vehicle and if I did the $200 would go towards the vehicle registration. All was good till I came in a few days later for the test drive, I told the sales person my budget had changed and I wouldn’t be able to afford that vehicle and that I didn’t want to waste anymore of his time, that I just came to get my deposit back. As soon as I mentioned getting my deposit back the dealership was refusing and gave me all sorts of excuses that made no sense. Not only were they being disrespectful but I spent an hour trying to get the money that was rightfully mine refunded back. I was not successful and they fed me an excuse that they’d have to speak with their accountant to see if they could give me my money back, they told me they’d call me. I waited all day and recieved no phone call, I guess they thought I’d give up on the $200 but the following day later I went in again and eventually successfully got my money. They try to scam people and get your deposit and then tell you you can’t get it back, I can only imagine the times they’ve done this to valunerable people such as the elderly or people who aren’t fluent in English and gotten away with it. If you’re looking for a fraudulent dealership you definitely found the place, don’t be fooled by their tactics. I needed a great car that was affordable yet classy at the same time. Alan Khiltash from Autorama did an amazing job ensuring we got the right car and prepared everything for us in a timely manner. He was very professional and accommodating. Highly recommended! "Loving My Ride- Excellent Service"
Loving my new ride thanks to Alan K at Autorama. They have a great selection and Alan made sure to give me as much detail as I needed and made the process very smooth and comfortable . Would definitely reccommend ! Thanks to the guys at AUTORAMA for helping me get approval for car. My new Civic is really nice I love so much rate and payment is good. Thanks to manager Adrian and salesperson Ted. Just brought my new vehicle from AUTORAMA, one of the best place & dealership to get a certified used vehicle. Great service ample inventory & bunch of vehicles to choose from.When you visit this place do meet David one of the best sales rep to approach to this was my first time buying a used vehicle and he really helped me through all the process addressed all my concerns, got my application processed in a day and the very next day i drove my car home. :) It was really a pleasure and good experience doing business with Autorama and Davidand look forward to going back there in near future. Dealt with David and his manager Adrian. Got me into a car that I really like and I'm happy overall. 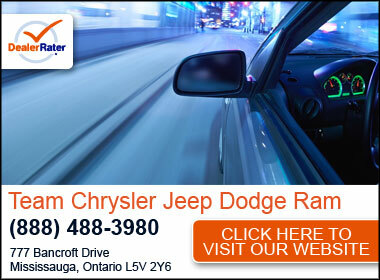 They have lots of selection and really good prices when I compared to other dealerships. Thanks. "They sell u cars that need work and expect you to pay for it"
I recently bought a 2014 acura mdx in August 2018 I put less then 2k on the car and it started giving me collision power steering problems made alot of noise in the front. So I called the dealership was giving to Ray the service manager to speak with. First he told me bring the vehicle on Thursday I texted him for the address no response. Friday comes along I go right to the dealer in the car that was dangerous to drive and he finally says he will take it in and have a look at it. I called on Saturday to see what was wrong he said hes not sure sometimes mice can chew up the wires might just be an electric problem. I said to him I've only had the car for less then 2 months theres no way a mouse chewed on the wires. He said hes still not sure what the problem is they need to open up the compartment it's a big job. I asked how much will thos cost is it under warranty he said he will let me know. Following monday i get a call saying cars fixed I have to pay 500 dollars and it was chewed up wires causing the problem. Went in tuesday there was another gentlemen in the door way who was also complaining about his car and another older women by the front desk who sounded upset about her car and stormed out. That gave me signs of what was really going on so I asked Ray for my car nicely and said I just bought the vehicle theres no way a mouse has chewed up the wires mind you I park my car in the underground parking with a bunch of cars not once has this happend to any of my cars. He told me i cant take the vehicle until i pay yet he never told me the charges previously. I booked an appointment with the acura dealership in maple had them check my car they used after market parts for brakes rotaters my back shames where hitting the rotars as they where broken also my car a month earlier from when I bought it went in for electric service. I contacted omvic which is a program to help customers with their rights in the law. I was told my car had warranty everything under the hood covers that was false too. I'm asking for warranty on my electric as this will cost me big bucks and my 500 refunded and have all the after market parts of my car to be replaced with acuras. It's only fair everyone agrees besides autorama. Their not genuinely nice people they will tell u they dont care after they sell u a car i'm surprised there still in business. I exchanged my number with the other gentlemen as he never knew about the omvic program I felt bad for him they removed pieces under his hood without his consent and the car still is not working good. Such a shame these guys are crooks and have no heart I had my baby in there took a cab they didnt care about nothing never again. I also traded my car in for 2k 2011 hyundai genesis they told me they couldnt sell it as its rebuilt there shipping it to africa next thing I see it in a dealership on the same street going for 9k. Honestly please go somewhere else these guys are not nice the nicer you are to them the more they take advantage it's sad.